We provide Geoprobe Services and Probe Sampling in NJ, PA (Bucks, Montgomery & Delaware County), Delaware (DE), Maryland (MD) and New York (NY). Extracting soil and water samples for environmental testing can be accomplished with a Geoprobe. 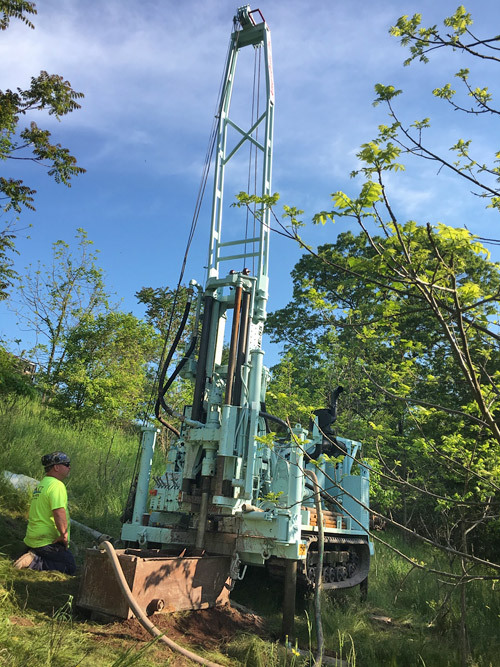 AmeriDrill has a 66DT Track Mounted Low Profile Probe and a 7822DT Geoprobe that are capable of advancing probe borings in tight access areas all around Pennsylvania, New Jersey, New York & surrounding areas. These geoprobes can also take water samples and install 2" diameter wells when Hollow Stem Auger (HSA) or Air Percussion Rotary Drilling (APR) capabilities are used. Every aspect of our probing is done in accordance with rules and regulations in the state and county in which the probing is being conducted. AmeriDrill recently purchased a 420M Probe. The 420M Probe is great for indoor drilling and tight access areas. Be sure to keep the 420M Probe in mind for your drilling in New Jersey, Pennsylvania, Delaware, New York or Maryland. There are various uses for probing, including site investigation, soil & water sampling, and monitoring well installation. At AmeriDrill, Inc., we also have vertical and angled probing methods that can be used around NJ, PA, DE, MD and NY. AmeriDrill's newest Drill Rig is the CME-55LCX. 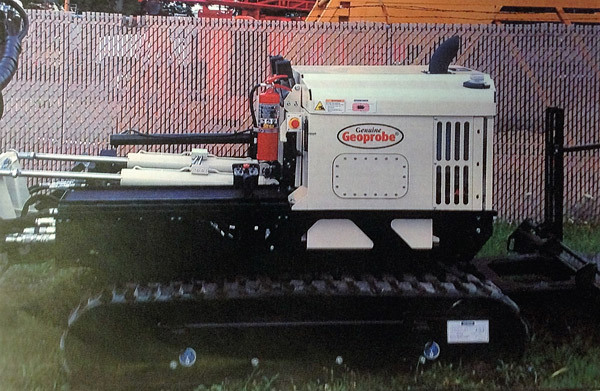 This is a track-mounted, low clearance Drill Rig that is compact and powerful. Extracting soil and water samples for environmental testing. Advancing probe borings in tight access areas in New Jersey (NJ), Pennsylvania (PA), Delaware (DE), Maryland (MD) and New York (NY). Taking water samples and installing 2" diameter wells when Hollow Stem Auger (HSA) or Air Percussion Rotary (APR) capabilities are used. We provide our clients with the best Geoprobing machinery available, including the 7822DT Probe. Used in conjunction with our exceptional team and cost-effective services, all of your New York, New Jersey, Maryland, Pennsylvania and Maryland Geoprobing needs can be met quickly.